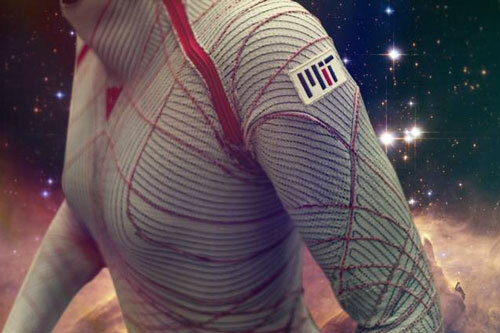 The BioSuit is a skintight spacesuit that offers improved mobility and reduced mass compared to modern gas-pressurized spacesuits. Research to be published this Friday shows that massive galaxies in the universe have stopped making their own stars and are instead 'snacking' on nearby galaxies. 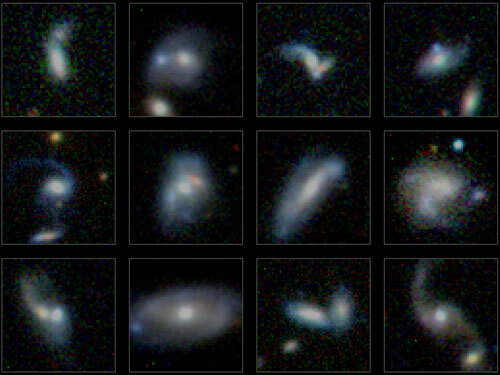 Astronomers looked at more than 22,000 galaxies and found that while smaller galaxies are very efficient at creating stars from gas, the most massive galaxies are much less efficient at star formation, producing hardly any new stars themselves, and instead grow by eating other galaxies. Miranda, a small, icy moon of Uranus, is one of the most visually striking and enigmatic bodies in the solar system. 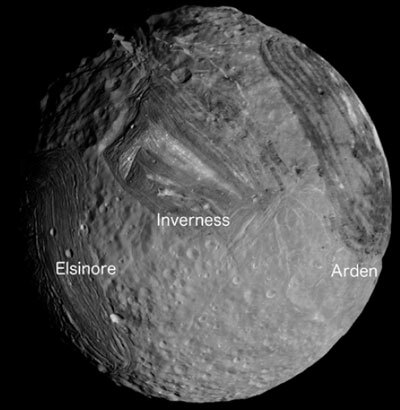 Despite its relatively small size, Miranda appears to have experienced an episode of intense resurfacing that resulted in the formation of at least three remarkable and unique surface features - polygonal-shaped regions called coronae. 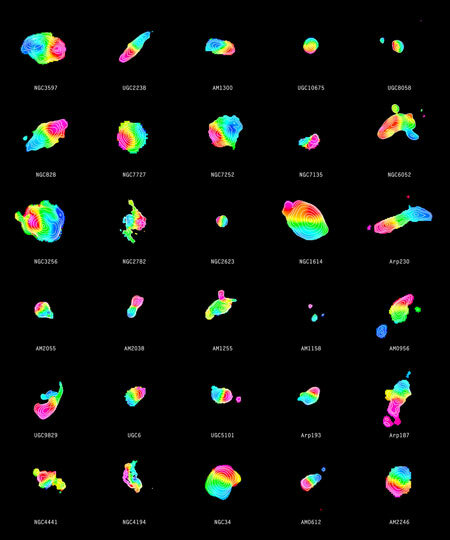 For decades scientists have believed that galaxy mergers usually result in the formation of elliptical galaxies. 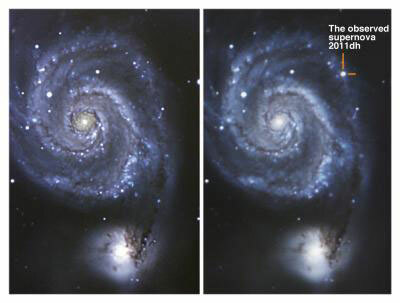 Now, for the the first time, researchers have found direct evidence that merging galaxies can instead form disc galaxies, and that this outcome is in fact quite common. 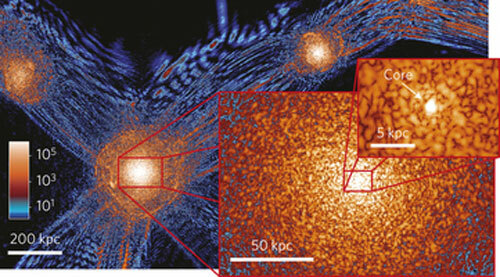 New research explores cold dark matter in depth and proposes new answers about the formation of galaxies and the structure of the universe. These predictions are being contrasted with fresh data provided by the Hubble space telescope. Underscoring the vast differences between Earth and its neighbor Venus, new research shows a glimpse of giant holes in the electrically charged layer of the Venusian atmosphere, called the ionosphere. The observations point to a more complicated magnetic environment than previously thought - which in turn helps us better understand this neighboring, rocky planet. 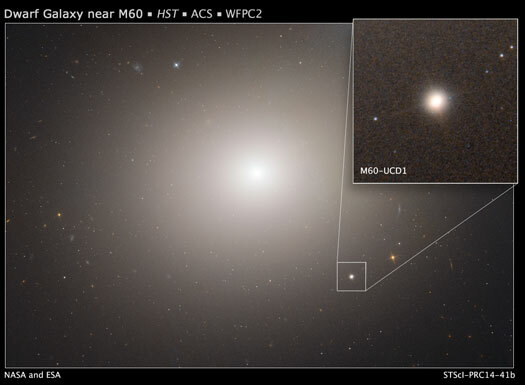 New findings of how giant elliptical galaxies move have been discovered by an international team of astronomers using the newly installed Multi Unit Spectroscopic Explorer (MUSE) at the European Southern Observatory's (ESO) Very Large Telescope (VLT) facility. 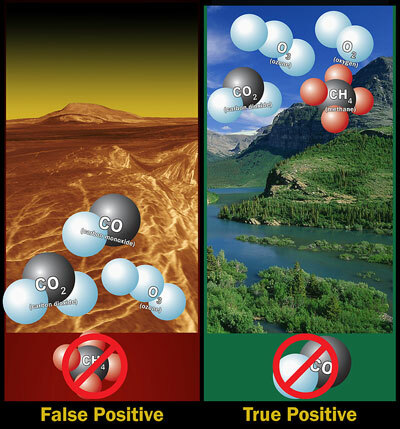 Astronomers searching the atmospheres of alien worlds for gases that might be produced by life can't rely on the detection of just one type, such as oxygen, ozone, or methane, because in some cases these gases can be produced non-biologically, according to extensive simulations by researchers in the NASA Astrobiology Institute's Virtual Planetary Laboratory. 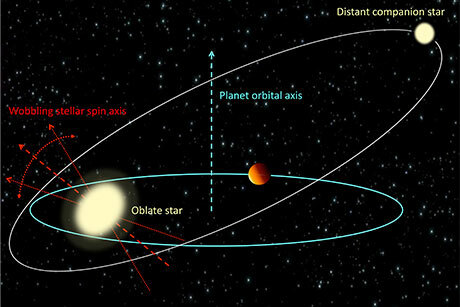 Blame the 'hot Jupiters'. These large, gaseous exoplanets can make their suns wobble after they wend their way through their own solar systems to snuggle up against their suns. Astronomers have found evidence of a hot binary companion star to a yellow supergiant star, which had become a bright supernova. Its existence had been predicted by the team. This finding provides the last link in a chain of observations that have so far supported the team's theoretical picture for this supernova. 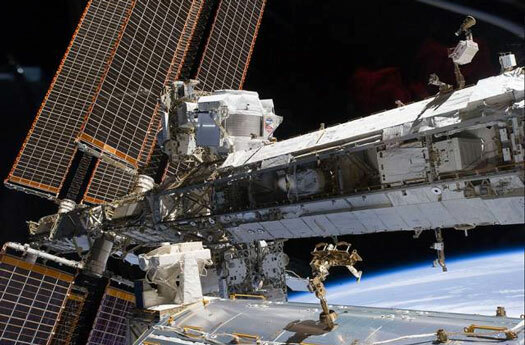 The deputy chief of China's Manned Space Agency has announced an ambitious space program timetable building up to the country establishing its first space station around 2022. 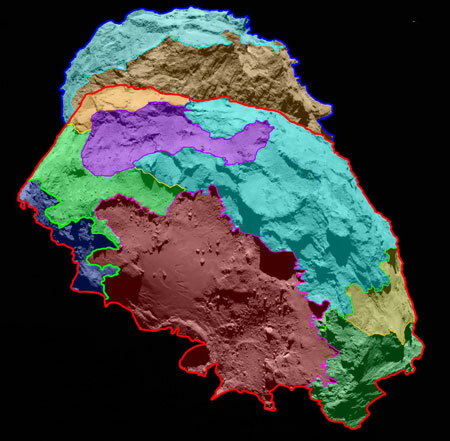 The surface of comet 67P/Churyumov-Gerasimenko can be divided into several morphologically different regions.